We work to strike the perfect balance between material, function and form in our designs. Our work is devoid of excess and ornament, striving for a logical celebration of physics, material and craft. We find great reward in making beautiful things and are proud to build all our pieces in the USA. 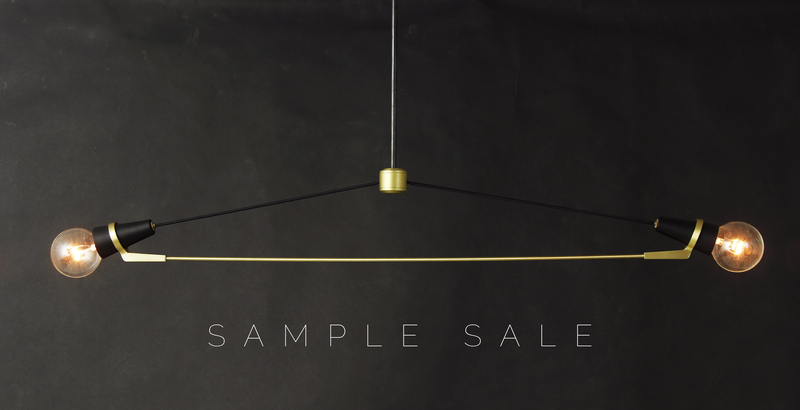 Thank you all for coming out to this years Sample Sale! We're excited to share that we raised over $4,000 for a selection of non-profits chosen by Studio members. A full list of where we made our contributions is below, and we look forward to seeing you again next Fall. 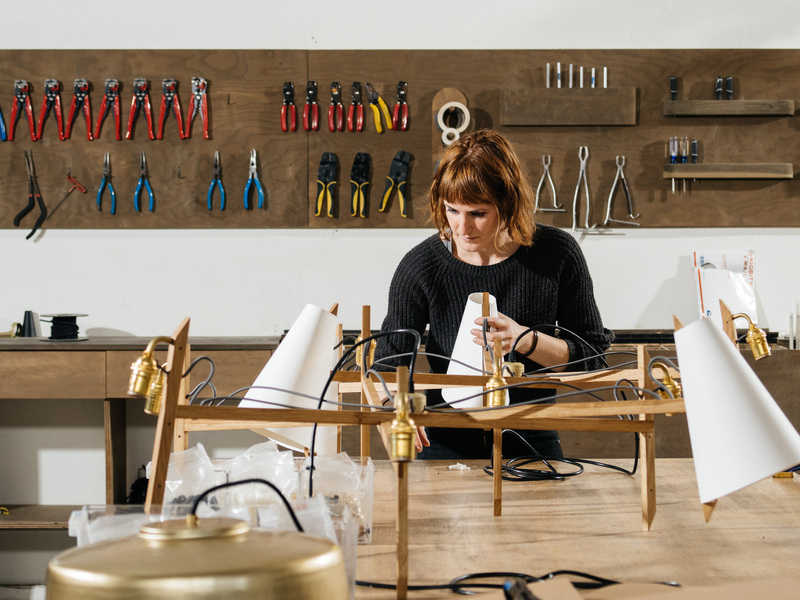 We’re excited to share our newest process film, which takes you inside the making of our Ada Sconce. A counterpoint to our Grain process film, Ada is a nod to the quiet elegance inherent in the industrial, and the film cuts between each machine, hand, and face that participates in this industrial process to show the joy of these transitions and the dance of assembly. An ADA compliant solution for both indoor and outdoor applications, Ada is manufactured in Los Angeles - watch the film and meet everyone who makes it happen.